Today the people of Britain go to the polls. The electorate has been greatly expanded since the last election in 1911: all men aged 21 and over are now able to vote, as are women over 30 if they meet minimal property requirements. No one is quite sure how this extension of the franchise will affect the composition of the House of Commons but all parties are competing for the attentions of the new voters. 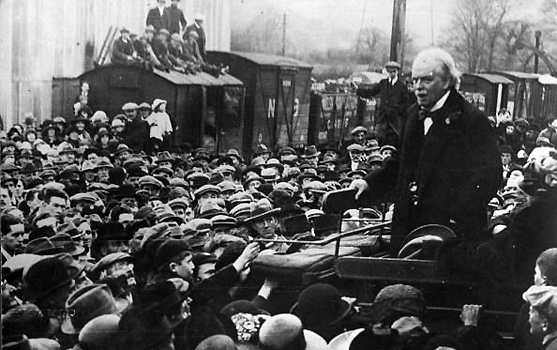 Prime Minister David Lloyd George hopes that the coalition government of Conservatives and his faction of the Liberals will be returned to office, while Labour and Asquith‘s Liberals are trying to overturn the government’s majority. As well as voting for the first time, women are now also able to run for office, following a change to the law in November. 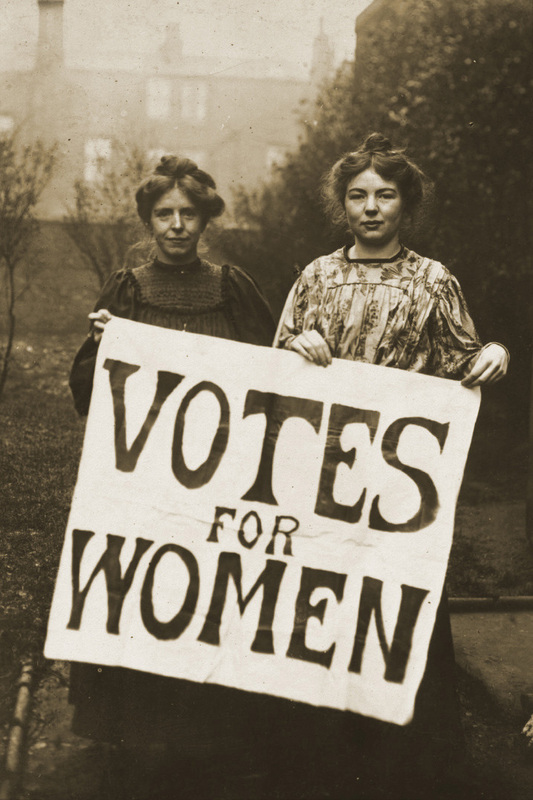 However, only a small number of women have put themselves forward for election, including former suffragette Christabel Pankhurst, standing for the Women’s Party. Other candidates are running as independents or for Labour or the Liberals. In Ireland Sinn Féin has put forward two women candidates, Winifred Carney and Constance Markievicz. Although Britain votes today, it will be some time before the results are known. Because so many voters are still serving overseas in the armed forces, the results will not be counted until the 28th of December. A series of Reform Acts in the Nineteenth Century greatly widened the franchise in Britain. This transformed politics, making it far less of a game played by elites and forcing politicians to pay some attention to the concerns of ordinary people. But the Reform Acts still left large numbers of people without the vote. All women remained disenfranchised, as did the 40% of men over 21 who did not meet property requirements. 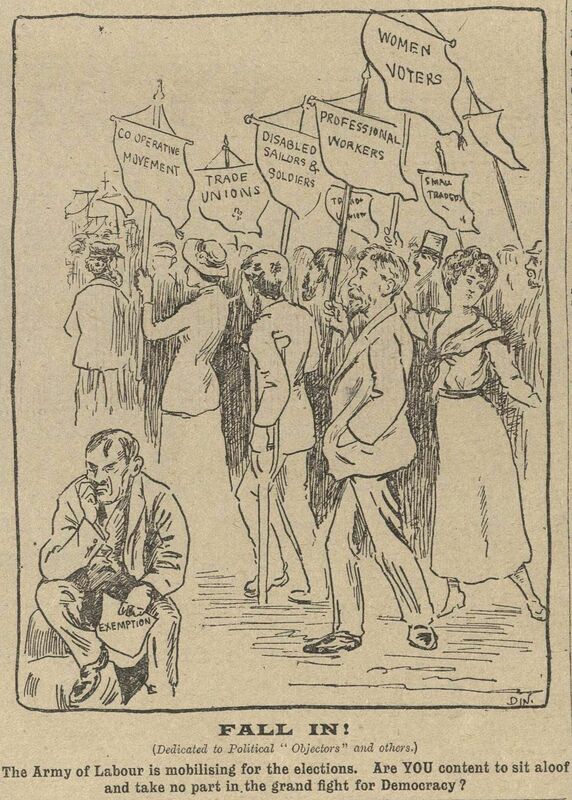 Before the war there had been an upsurge in campaigning to widen the franchise, particularly to obtain women’s suffrage. The suffragettes attracted much attention with their radical and sometimes violent campaign. The force-feeding of imprisoned suffragettes who were refusing food shocked many across the country. At the start of the war, the suffragettes largely halted their militant campaign. The government in turn released all suffragette prisoners. Many of the campaigners for women’s suffrage now became vocal supporters of the British war effort. The terrible sacrifices endured by the men serving in the army have led to a sea-change in British political opinion: it no longer seems reasonable that so many men are being killed or injured for their country but are unable to vote in its elections. Likewise the work of women at home in jobs that had previously been the domain only of men has forced a reappraisal of their potential role in society. As a result, Parliament has passed a Bill greatly widening the franchise, which today comes into law as the Representation of the People Act. Now all British and Irish men over the age of 21 will have the vote and so will women over the age of 30 who meet certain property qualifications. So women are not yet able to vote on an equal basis to men, but the reform has nevertheless given the vote to millions of them. The United Kingdom is long overdue an election, with the last one taking place in 1912, but the next one will not take place until the war is over. Given that the war is expected to continue until at least 1919, it will be some time before the newly enfranchised are able to exercise their democratic rights.